I reloaded but, no save. Me and Remember Me are on a break right now. I'll probably get back to it eventually. Well, for the brief period that you're not in a tunnel or the slums, anyway. The view of the spray-painted on pants is pretty constant though. Long Live the Queen is apparently a "life simulation" game. "Life simulation" in my case involving a great deal of dying.﻿ You're Elodie, a fourteen year-old princess who, after the death of your mother, is frantically studying (apparently for the first time in her life) in order to successfully ascend to her country's throne on her fifteenth birthday. Her Dad, the disturbingly young, "Dowager King", is quite happy to let her self-study and wander about alone, only calling on her occasionally to render judgment on various law-breakers. I'm a bit of a softie, so my version of Elodie only occasionally ruthlessly executed people. Long Live the Queen is HARD. You have two classes each day to try and accrue queenly skills, and every so often something comes along and tries to kill you. If you've foolishly neglected to gain enough skill in whatever would be a good ability for avoiding that particular form of peril, Elodie doesn't make it to her birthday. The game actually reminds me a little of the original Zork. Zork was a text-based adventure where you start standing next to a mailbox, and try to work your way through the world without being eaten by a Grue. I never beat Zork. It amazes me that anyone ever beat Zork. Zork's level of trial-and-error death is in the stratosphere, and you must do everything absolutely correct in order, without a single step out of place, or you run out of turns. I couldn't even beat Zork with a walkthrough (mainly because I ran out of patience). LLtQ is a good deal more forgiving than Zork, and has an addictive quality which is entirely to blame for the zombie-like condition in which I turned up to work on Thursday. 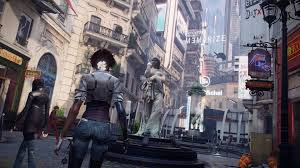 Fortunately, I've beaten it now - and I tend not to be a replayer, but I do recommend it for someone tired of spray-painted pants and boss battles which involve lots of dodging and quick time events. It even has a free trial for the curious. 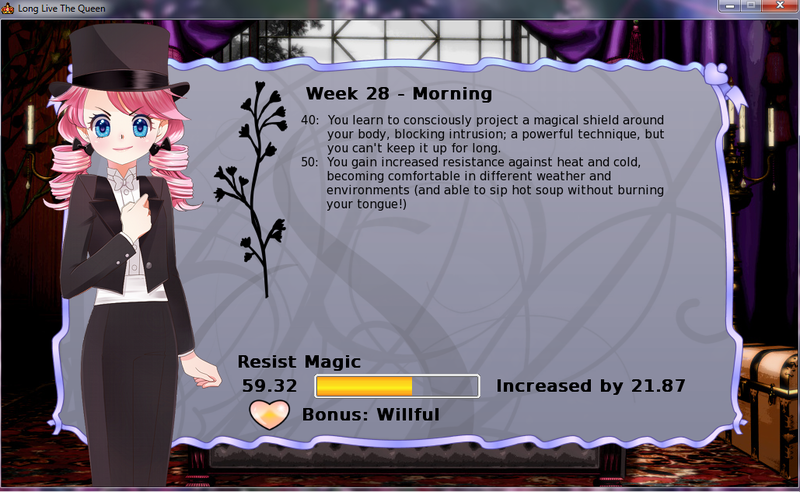 And bonus incredibly pink magic girl graphics! There's an interview with me (and a related ebook giveaway) up today at A Novel Idea. Go check it out!